Each day is a gift so begin and end each day with gratitude. Celebrate the good and more of it will flow to you. Adversity is a part of life. Know that you are not your problems. Instead of getting wrapped up in doom and gloom, change your focus to the life you want to have, not the problems you think are before you, realizing that what’s happening around you isn’t who you are. Love what is. Our stress often comes from our perception that something is good or bad- not from the circumstance itself. Instead of getting frustrated over things you can’t change, focus on the ones that you can change. Follow your heart- not your fears. Replace negative thoughts with positive ones. Let your actions come only from a place of love. Dream big and make life fun! Do something outrageous each day. Follow your passion. Believe in yourself. Trust. Infinite possibilities are born of faith. Focus on the WHY of life and not the HOW. Where focus goes, energy flows. Happiness is a choice. Take responsibility for your actions and inactions. You choose how to act or react. No one can make you feel anything without your permission. Therefore, ACT – don’t react. Choose consciously and wisely. You are only one choice away from changing your world. Start with your beliefs, which will lead your thoughts, which will create your actions, which will produce your results. Love yourself so that you can love others. Know that you are enough. Without arrogance, be self-confident, kind and compassionate. Pass on the love that has been given to you. Leave smiles in your wake. Be the best friend you can be. Touch other hearts. Share hugs. Build a community to support one another. Joys shared are doubled, while pain shared is halved. Be there for each other. Take care of your body and keep it strong. Nourish it with whole foods, lots of water and long walks in nature. Get sweaty. Build strong muscles. Think healthy thoughts. Breathe deeply and get plenty of rest. Gail Lynne Goodwin is the founder of InspireMeToday.com, bringing the best inspiration to the world. InspireMeToday.com provides free inspiration, each day from a new Inspirational Luminary, to a global community of folks from over 150 countries. 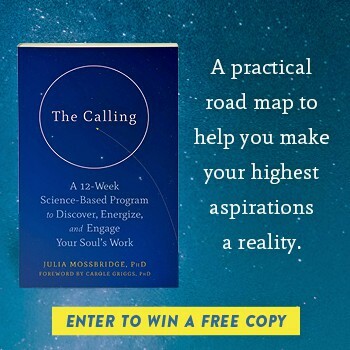 Gail has interviewed many well-known names including Sir Richard Branson, Guy Laliberte, Seth Godin, Tony Hseih, Gary Vaynerchuk, Michael Gerber, Marci Shimoff, Jack Canfield and hundreds more. According to Mashable, Gail was one of 2009’s Top 25 Most Inspirational People on Twitter. Prior to InspireMeToday.com, Gail spent several years as manager for her recording artist daughter, Carly. As a result of the success of their co-penned song, “Baby Come Back Home”, Gail accompanied her daughter to bases in the US and to Guantanamo Bay, Cuba where Carly performed for our troops. Gail and Carly created the ‘World’s Longest Letter’ of love and support and delivered the 18-mile long scroll on a month-long tour of Iraq and the Persian Gulf in 2006. Gail is excited to present her latest course, Love in 21 Days, a step-by-step guide to finding love online. Love in 21 Days is founded on a logical process that has been tested – and proven! – by not only Gail, but also by students around the world who too have found love. Gail is a published author and a regular writer for the Huffington Post. She offers mentoring and mastermind services to clients worldwide from her home in Whitefish, Montana. Follow Gail on Twitter or Google+.